The Committee for Economic Development of Australia (CEDA) held a breakfast event in Perth on 31 January, “A New Path to Reconciliation’, featuring BHP CEO Andrew MacKenzie as keynote speaker. What was significant about this event was Mr MacKenzie’s call for national action on the Uluru Statement from the Heart (the Statement). His speech was then followed by an inspirational response from Professor Megan Davis, Pro Vice Chancellor Indigenous, UNSW Sydney. 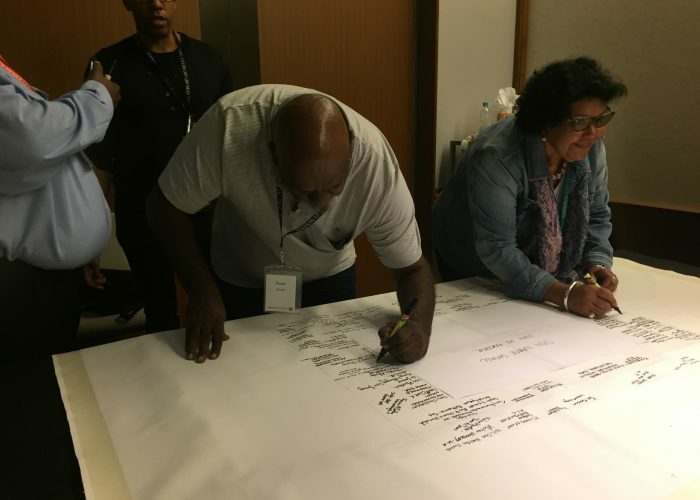 Earlier in January this year, YMAC facilitated a meeting in Port Hedland between Mr MacKenzie, Kariyarra Traditional Owners and representatives of Pilbara Aboriginal Voice (PAV). 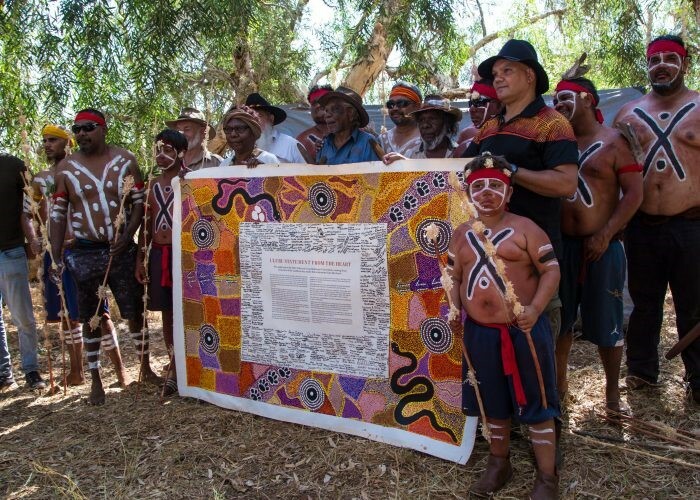 Mr MacKenzie’s commitment to addressing issues raised at the historic Port Hedland meeting and, more broadly, to hear BHP’s unequivocal endorsement of the Statement and commitment to pursuing Constitutional Recognition is encouraging. YMAC is hopeful that this public declaration of support by BHP will translate into tangible action and better outcomes for Aboriginal people. 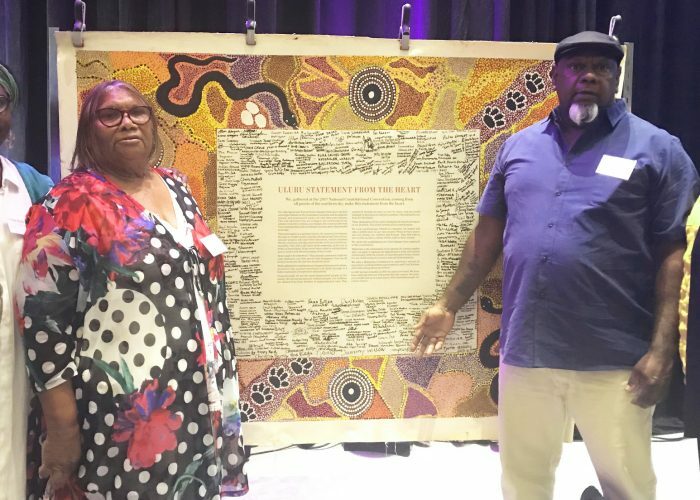 Attending the event were YMAC Co-Chairs Mr Peter Windie (Yamatji) and Ms Natalie Parker (Pilbara); YMAC Deputy Co-Chair (Pilbara) and Pilbara Regional Committee Co-Chair, Mrs Doris Eaton; and, PAV Co-Chair, Ms Linda Dridi – all of whom are also signatories to the Statement. To watch BHP CEO Andrew MacKenzie’s presentation click here.